Love it! This came up on my reader and I had to look closer before I knew it was yours Joan. 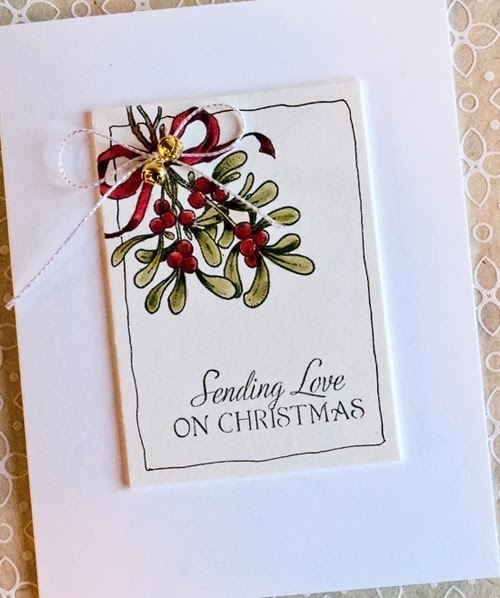 Beautiful card Joan! Your coloring is gorgeous. I really like the cream on white. Nothing wrong with purchasing some Christmas cards, Joan. I may be doing that myself! I just hope I rate a handmade one from you, LOL! I still have your last card to me on my inspiration board. But truly, this card is stunning...love, love, love the coloring and the doodled border, not to mention the layout is CAS perfection. The bells are simply perfect, too! OH MY!!! I absolutely LOVE this!! Lovely! I especially like the bow. Where is that string/twine from? Thanks. The cord is from May Arts and I got it at www.impressrubberstamps.com I just added the link in the supplies list. It is a gorgeous card as a whole and in close up. Love the colouring. So lovely Joan B! wonderful colors and doodled edge! Just beautiful! So simple and perfect!! I am enjoying catching up on your posts. I have laughed and sighed and nodded with understanding. 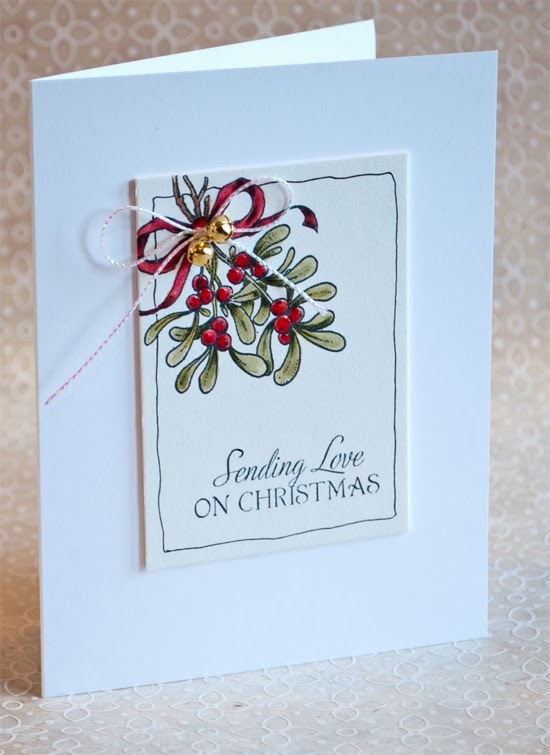 I have seen so many lovely cards and clever ideas. 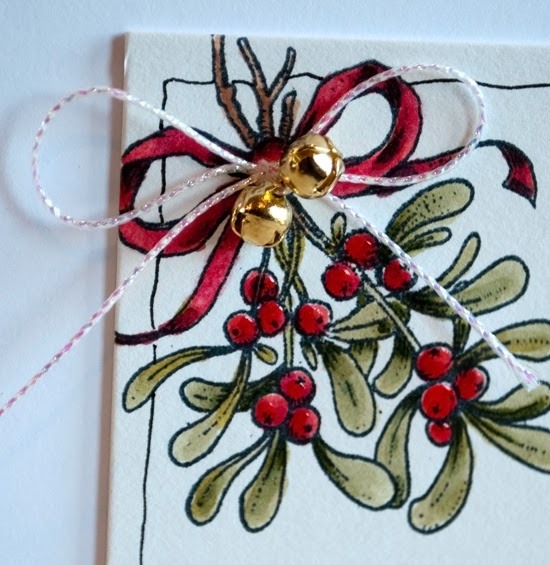 This little Christmas image is beautiful; I love the framing on a separate piece of cardstock and the cute little bells.